Practical advice when dealing with tough salespeople. In this webinar, Kevin Davis shares his insights on coaching difficult salespeople. 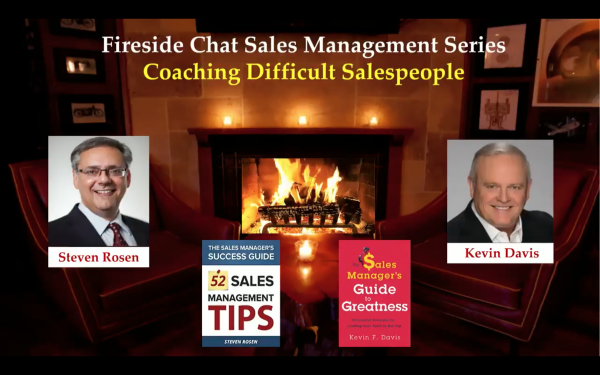 Kevin Davis & Steven Rosen discuss personas that represent many challenges sales managers face, including sharing the background on each of the personas and what causes their behavior. Fill out the form to access the webinar video.